While issues of Cape Town’s readiness, safety and security and transport infrastructure have dominated global headlines in the run-up to the 2010 FIFA World Cup, fears of being fleeced are now top-of-mind for scores of potential World Cup visitors. 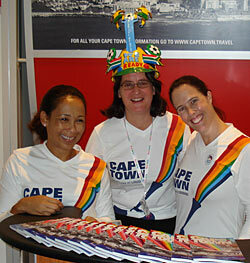 Cape Town Tourism's head of marketing, Lianne Burton, explains why. Speaking to a cross-section of members of the UK travel trade at the World Travel Market in London in November, I was struck by the fact that concerns about greedy accommodation providers and international and domestic airlines ripping off World Cup visitors were as widespread as those about safety and security. When England qualified, for instance, a spate of press reports in the UK encouraged excited fans to stay home and watch the World Cup on TV, arguing that unrealistic pricing would put the World Cup out of most mere mortals’ reach. The astronomical prices of luxury private villas on the Atlantic Seaboard were cited, out of context, to add fuel to the fire. While these reports were undoubtedly exaggerated, they indicate that the issue of overpricing during the 2010 World Cup is a hot media topic. And it’s not surprising. Battered by the worst recession since the 1930s, travellers worldwide are particularly price-sensitive. Global tourism figures for January to October 2009 are down by 8% compared with the corresponding period last year, and the European Travel Commission has warned that there is unlikely to be a strong travel rebound, with recovery likely to be subdued. Add to this the fact that Cape Town is a long-haul destination, and the subject of accessible pricing becomes even more critical to our global attractiveness, World Cup or not. According to Cape Town Tourism’s representative in London, Mary Tebje of MTA Tourism Leisure consultants, ‘the downturn in travel and tourism has been especially pronounced for long-haul travel, with a move towards increased short-haul trips and short leisure breaks.’ The UK Office of National Statistics reported that the number of overseas visits by UK residents (Cape Town’s key source market), fell by 12% in the last 12 months to July 2009. Interestingly enough, affordable long-haul destinations like Mexico, Thailand, the Dominican Republic and Jamaica have bucked the trend, showing an increase in British visitors, year-on-year. Even traditionally well-heeled travellers are trading down from luxury to mid-priced travel options. So where does Cape Town fit into this picture? Cape Town’s reputation as a leading destination is underpinned by the fact that we offer pristine natural beauty, cultural diversity, a fascinating political history, a cosmopolitan vibe and a sophisticated tourism infrastructure – all at an affordable price by global standards. This value positioning has cemented our place as one of the top long-haul destinations for travellers from the UK, USA, Germany and the Netherlands. But it is not guaranteed. The opportunity presented by the 2010 FIFA World Cup has seen major infrastructural investment in Cape Town as a Host City. Cape Town is undoubtedly ready to welcome the world – some 350 000 visitors from traditional and non-traditional markets are expected to visit Cape Town – in June 2010. This ‘memory’ will become the new definition of our destination brand, and will drive tourism growth for years to come. In tourism terms, as with infrastructural improvements, the World Cup opportunity is all about legacy. We have a once-in-a-lifetime chance to reinforce our positioning as a unique, value-for-money destination. If we adopt a short-term, ‘get rich quick’ attitude and hike prices unreasonably, visitors will become negative brand ambassadors, spreading the word that Cape Town is officially overpriced. This will seal our fate alongside many cities, including Sydney, for instance, that have seen a drop in tourism after hosting mega events. In contrast, responsible pricing practices will ensure that visitors will return time and time again to Cape Town. Sydney experienced a staggering decline in visitor numbers in the three years after hosting the Olympics in 2000, with ‘greed’ being singled out as a key factor.In September 2009 Cape Town Tourism conducted a pricing strategy workshop for its members, in partnership with US consultancy Myriad Marketing, highlighting the strategic importance of responsible pricing practices during the World Cup and citing global best and worst practice examples to drive home the message. Sydney, for instance, experienced a staggering decline in visitor numbers in the three years after hosting the Olympics in 2000, with ‘greed’ being singled out as a key factor and a painful lesson learnt. As a helpful guideline, Cape Town Tourism is encouraging local tourism establishments and operators to peg their June/July 2010 World Cup rates somewhere in the region of their high-season 2010 rates, and certainly not more than 15% above next year’s high season rates. We would like to think that local airlines will share our responsible approach. It’s hard not to fall in love with Cape Town. But if we rip off World Cup visitors, we will almost certainly have to settle for being a one-night stand. Like many lost loves, it will be a wasted opportunity that might haunt us for years to come.